You are here: Home / Free Samples | Freebies | Free Stuff / Apply (Not Everyone Will Get) / PRODUCT TESTERS WANTED: Columbia Sportswear & Outerwear! Columbia Sportswear makes some of the best footwear and apparel. From jackets with space-age, tinfoil-like lining, to a 100% warranty – you can’t go wrong! If you love getting FREE product to test and keep, SIGN UP HERE too! COLUMBIA REWARDS: EARN $5 NOW! Get a Columbia coupon for 25% off! You can earn $5 in Columbia Bonus Points for signing up with their FREE Columbia Greater Rewards program and connecting your social media! Click THIS LINK to get started and get your $5.00 free. Don’t forget Columbia’s 100% guarantee! If something breaks, just ship it to them. Under their warranty, they’ll fix it or give you a credit for the value. Then, you can replace it with what you want. Awesome! Sign up to become a Columbia Sportswear product tester and get some nice free stuff! During its more than 70 years of innovative history, Columbia Sportswear has channeled a passion for the outdoors into creating technologies and performance products that keep people warm, dry, cool and protected year-round. 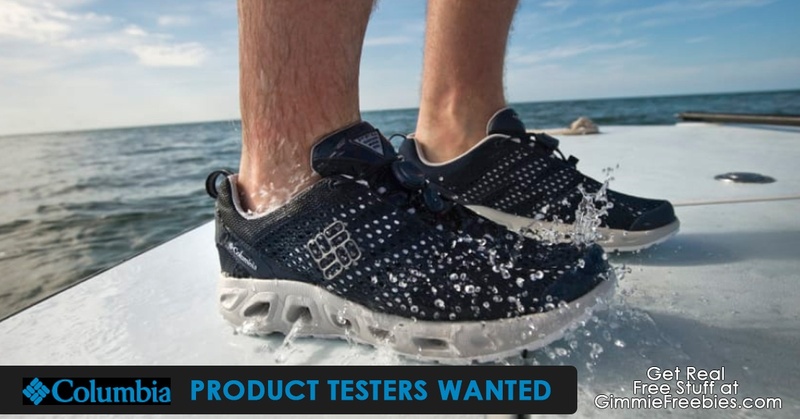 In our quest to make product that meets and exceeds the needs of outdoor enthusiasts, Columbia Sportswear is seeking a broad variety of outdoor athletes to test our footwear and apparel, and to provide constructive and candid feedback. If you are serious about the outdoors, and would like to be a part of our testing program, we strongly encourage you to apply. US Residents Only. NOTE: With Columbia, after testing them products must be returned.